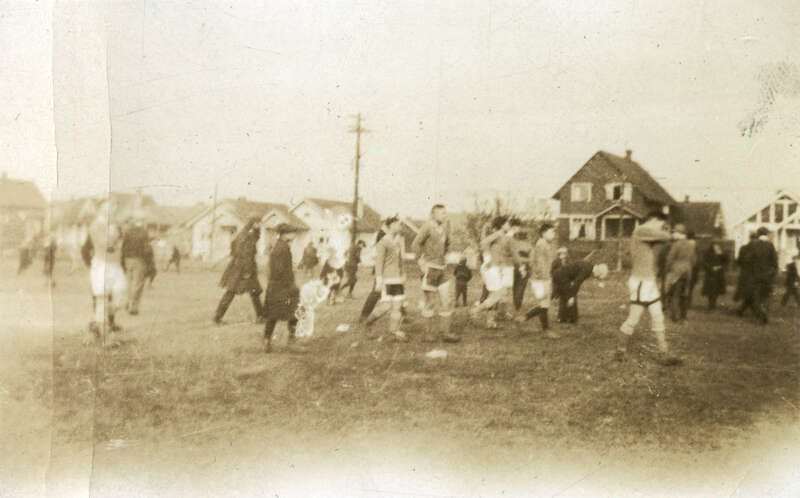 Photograph shows members of the Chinese Students' Athletic Association soccer team and spectators walking across a field. Image is very faded with some staining and cracked emulsion in several places. Photograph is mounted to an album page using photo corners.